My wife, Carmen, and I love cop shows, from the iconic Hill Street Blues and Law and Order to our favorite today, Blue Bloods. We get engaged with the characters, always trying to solve the crime before they do, sometimes wondering why they don’t see the obvious killer right in front of them. Blue Bloods is great because it goes beyond the typical crime drama by following the lives of the New York’s first family of crime fighting the Reagans. We do not miss an episode. As I explore #RooseveltRiver, I am struck by two things. The first, the countless ways that Roosevelt pops up in my life. Shortly after embarking on the #RooseveltRiver exploration, I was in a meeting regarding the implementation of our new HR system. Each participant in the meeting was given a profile of a new employee to enter to help test the functionality. Me? I was given the new employee Theodore Roosevelt. Hmmmm…several months later, I was at an offsite meeting…sitting in a conference room…the name of the room? The Roosevelt Room, of course. I can’t count the number of times this happens. So, have you seen it? 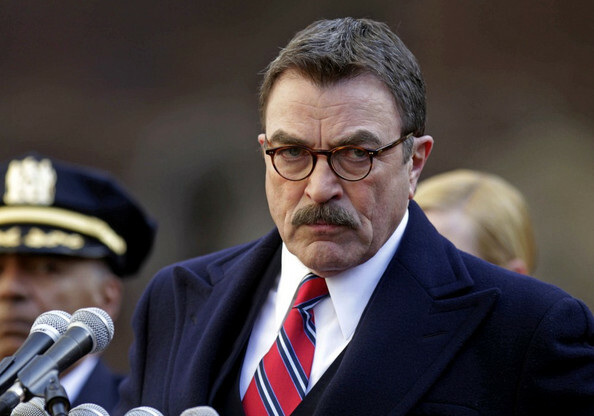 Blue Bloods’ Frank Reagan (Tom Selleck) and his striking resemblance to Teddy Roosevelt? His look, his mannerisms? His trait of always trying to do the “right” thing? The picture of Roosevelt hanging in his office? Honestly, I don’t know if I would have seen it, if it weren’t for my exploration (hey there is a reason I am a CIO and not a detective!). So what is the strong relationship between the fictional Frank Reagan and the very real Theodore Roosevelt? If you aren’t familiar with the show, Selleck’s character is the New York City Police Commissioner, an office once held by Roosevelt himself. In a recent episode, Reagan feared he was losing touch with the officer on the beat, to help connect, he left his office and his security detail behind and hit the streets to observe, connect and yes, even hold some of the beat cops accountable to the standards of the New York City Police Department. It was an excellent episode. The second thing that strikes me on the #Roosevelt River, is how I gain new insights and perspectives every time I review Dan’s Guidebooks and my notes. The words jumped of the page, “Your direct presence sends a message”. Roosevelt could have commanded new expectations of behaviors with a stroke of the pen. He then could have relied on the chain of command to implement the changes and hold the officers accountable. Instead, he hit the streets. He knew the mere presence of the Police Commissioner would send a message to the rank and file that a memorandum could never send. His presence said “this is serious”, “he means business”, “you better toe the line”, perhaps even, “I care enough about this message and about you to deliver it myself”. As a leader, it is important to remember this lesson and how to use it. “Your direct presence sends a message.” It does change the dynamic in the room, the mere presence of the boss or leader does change the dialogue and the tone…and that’s OK…in fact, sometimes it is not only desired, it is necessary to affect the change needed to meet the goals and objectives. Think about the last time you assumed a new role. What were the first steps you took? Did you use the lesson of Roosevelt and have a direct presence? Would you do it differently the next time? If so, what steps would you change? #RooseveltRiver is my year long exploration with Dan Miller of Historical Solutions into leadership using the backdrop of history and the life of Theodore Roosevelt. To read more in this series, select “Roosevelt River” from the Category drop down on the right. How many times have you said it? Hundreds? Thousands? 31 simple words. We repeat them as a matter of rote. How many times have we really thought about these words and what they mean? I recently had the deep honor to attend the Naturalization Oath Ceremony. 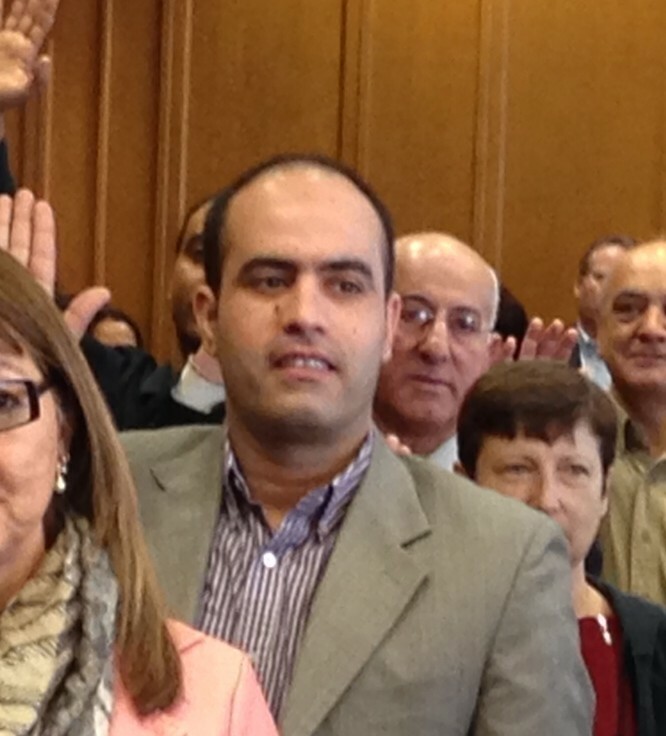 My friend Muhammad Maaita was taking the Oath along with 60 other proud soon to be Americans. They came from dozens of different countries, from all over the globe, but they all shared to common desire to become US Citizens, they had met the requirements of residency (most, like Muhammad, five years), they had passed the English test exhibiting the ability to read, write and speak English, they had passed the civics exam showing an understanding of US history, our form of government and the duties and responsibilities of citizenship. They gathered today to take the Oath of Allegiance to the United States of America. If they were all half excited as Muhammad, this group of new Americans will be a model for groups to come. The smile on his face was contagious! As we sat there watching the ceremony unfold, I couldn’t help but wonder, how many of us who have been born into citizenship could pass the tests? English? Ok, maybe most of us. But, Civics? I don’t know about you, but I hated Civics class in high school (funny from a guy that grew up to love Lewis and Clark and other figures from US History). Could you pass it? Take the practice test. I double dog dare you (and post your score)…I missed FOUR!!! Pretty lame! Hmmm….140 words. 140 words vs. 31 words. Read them again…go ahead, I’ll wait…….Wow! What a difference THAT would make, if we ALL had to take this oath and if we ALL had to live by this oath. Many peoples, many religions, formalize the Rite of Passage, or the Coming of Age, that time when we move from childhood to adulthood. The forms and ceremonies differ dramatically, but they all symbolize the same three stages: withdrawing or separation from the current state, transition between states, and finally re-incorporation into the community. You could say the college experience embodies these three phases: the student leaves home (separation), studies and learns (transition) and finally graduates and heads out on a career (re-incorporation). Here, within the Native American cultures that lived the lands hundreds of years ago this rite of passage was vitally important, many times signified by the person taking a new name, an outward symbol that they were not the same person as before. The Oath of Naturalization follows the same three phases. Once expressed, the individual is incorporated into the body of citizens of the United States. What if we ALL had to pass the tests? What if we ALL had to take the Oath? What if we ALL followed this rite of passage? I believe we would be a stronger people, a stronger country, a more bonded people. Witnessing this event, made me proud to be an American, made me proud of Muhammad and his rite of passage, and made me proud to be Muhammad’s friend. His journal entry was simple. What event would evoke such a dismal comment from a future President of the United States? It was February 14, 1884, Theodore Roosevelt was hard at work in Albany, miles away from home, when word reached him about the deaths of his mother and his wife just hours apart. The day brought this section of the #RooseveltRiver to a close, the culmination of six crucial years in the life of Roosevelt. These six years saw Roosevelt deal with the death of his father (his foundational relationship), drop out of Harvard, re-enroll and then graduate from Harvard, become engaged to and marry his wife Alice, finish his critically acclaimed book on the Navy in the War 1812, receive word from doctors that his health would severely limit his life, discover his life’s calling in politics, find his soul in the Dakotas and the Badlands, and experience the birth of his first child. The lessons he learned in these years would help him deal with the darkest day of his life and develop into leader we remember today. When I think back on those years in my life, they were quite a whirlwind as well, though I didn’t face anything as dark as the death of both parents and a spouse. During those same years (19 – 25), I got married, had two kids, started college, transferred schools (twice), got a job, discovered computers, moved to Chicago, moved to Indianapolis, moved to Lebanon (the city in Indiana, not the country in the Middle East), started a spiritual journey with a seagull and a barnstormer (that’s for you Jay), and watched my mom deal with the recovery from a near fatal fire. Some people like to live on the edge, challenging life at every turn. 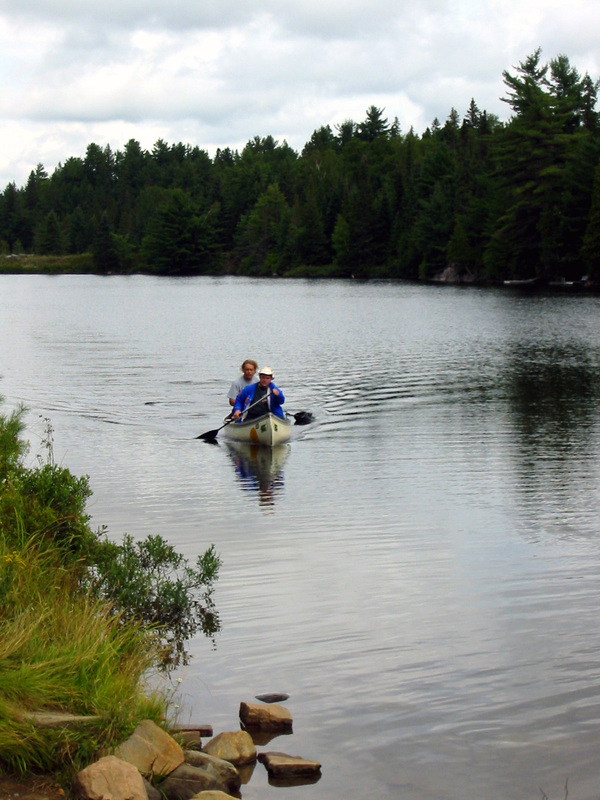 Roosevelt did enjoy a physical challenge like dude ranching out west in the Dakotas or canoeing in the Amazon. In fact he would rely on these adventures to get him through tough times in life. But more than these extreme adventures, Roosevelt found him self on the edge in every day life, challenging himself and others not to be pulled into the center, not to accept the status quo. Roosevelt exemplified this living on the edge style early in his career by focusing on “cleaning up” politics and government. After spending 30 years in IT, I can’t think of another career I could have chosen that would have been more on the edge…and the edge continues to move outward at an every increasing pace, yet even in IT there is a center, a status quo. The old days of being able to lock everything behind closed doors are gone. No longer can we “command and control”, block Facebook and employees will just use their phones. Instead, we must embrace but protect. Today the edge is cloud, mobile, gamification, crowdsourcing, the internet of things, and much more. Isn’t that the definition of being a leader, though? Living on the edge, continually pulling those around you out of the center? It is difficult, like being caught in a whirlpool above a rapids (hey this is a series about a RIVER), the closer to the center you are the harder and harder it pulls you in. The further and further away from the center, the swimming gets easier, but you can’t pull anyone with you. If you get too far on the edge you run the risk of being thrashed about in the rapids. Where do you spend your time? In the center? On the edge? Beyond the edge? With sincerest apologies to The Kinks and the great Lou Reed (RIP) sometimes lessons on the #RooseveltRiver come from the most unusual places. My brother “came out” over 30 years ago. It was a much different time and being the son of the Baptist minister in Southern Indiana could not have made an incredibly difficult announcement any easier. I have to admit (and I think he would too) my brother and I had a rocky relationship for most of our childhood and young adulthood. He was (much 😉 ) older than me, liked to tease me incessantly, and sometimes would beat the crap out of me. I can, however, remember two occasions that made a huge impression on me. The first was when he filed as a Conscientious Objector for the Vietnam War draft. What an incredible stand for what you believe in. The pressure he was put under from the interviews, the filings, the name calling. I gained an incredible amount of respect for him during that year or so. The second was when he announced he was gay and occasionally dressed in drag. I think the pressure of the CO filing was nothing compared to making this announcement. I am sure I was not supportive at the time (I had a lot of growing up to do) however, I was secretly very proud of him again…for making a stand for what he felt and what he believed. My wife and three year old son went to visit him a few months after, I can remember touring his house and my son tugging on my hand and looking up at me and asking “Why does Uncle Jack have dresses in his closet?” and later my wife admiring the photos of beautiful women on his mantel (uh…they weren’t). As our rivers flowed on and the decades passed, he and I met up for beers one evening last year. Our conversation turned to our jobs. I was now an executive and he had made is living in front-line retail. I remarked how good he was at his job. Everyone loved walking into the store and being waited on by him. There were times, that customers would ask for him and if he wasn’t in, they would leave. Everyone in the area knew him, from the office secretaries, to the politicians and business leaders. I likened his skill to that of my dad, the now retired minister that still “works the room” every chance he gets. He laughed and said, “but you get up in front of large groups all the time and speak, talking one-on-one is easy”. I told him I was serious and was very impressed. I asked how he does it, how is he that comfortable with meeting new people all the time. “Its not me,” was his reply, “its my persona. Just like when I was a dancer, I put on my persona and hide myself inside it”. BAM! Another lesson on the #RooseveltRiver hits me like a rock in the rapids. Sometimes the more obvious the lesson, the harder it smacks you. Its like the preparation my son does before he gets on stage, the preparation my dad did prior to a sermon, its like the preparation I do before a big presentation. We may not have described it as a persona…but its a perfect way of looking at it. THAT’s how you work a room…prepare and put on your persona. So next time you see me at a networking event, if I have a strange smile on my face, I am not being rude, I’m just singing “Lola, L-O-L-A, Lola” or “Doo doo doo doo doo doo doo doo doo” to myself. I don’t know what made me do it. I don’t know what I was thinking. Chalk it up to a 6th grader wanting to get attention. Boy, did THAT happen! It was nearing the end of my 6th Grade Year. Soon, I would be heading off to Junior High. My sixth grade teacher was the first male teacher I had ever had, he ruled with authority. He WAS authority in my school. Weeks before he had announced the Science Fair Competition. Everyone had to submit a project and everyone had to present their project to the whole 6th grade class. Today was the day! Honestly, my project was kind of lame. It was something about perpetual motion and lighting a candle on both ends or something like earth shattering like that. After waiting through several of my classmate’s presentations, it was time for me to present. 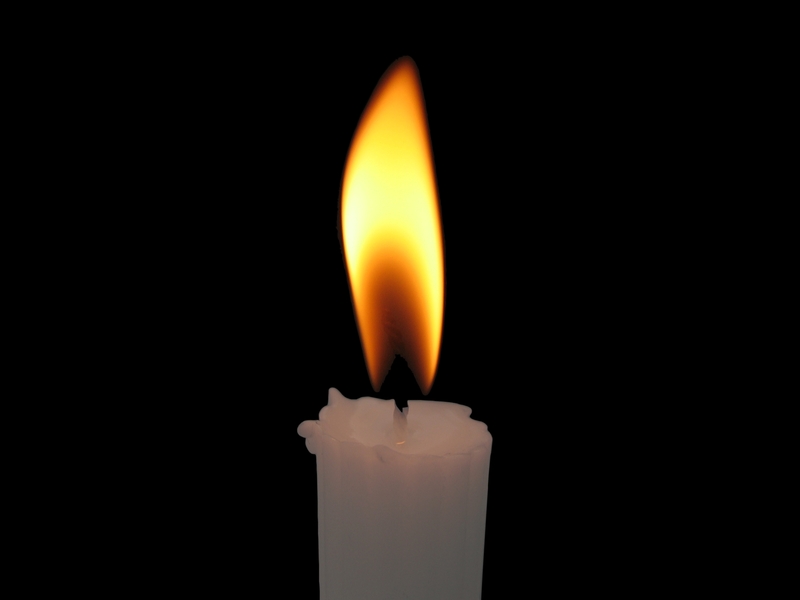 I did fine enough I suppose…until the end…until I decided to tell some outlandish story about how I had been working with my chemistry set the night before, gotten sick, had to go the hospital, was still in constant pain…and THAT is why I did the candle project. It was a doozy of a story and all B.S. Maybe I told it to impress my girl friend(s), who knows…but it gets better (or worse actually). After all the presentations were done, our teacher announced that he was selecting the top three projects and we would present to the entire school. Guess what? My project was selected. Man was I stoked! Too Cool! That afternoon, the whole school was gathered together including the principal. The first kid presented his project, I think it was on nuclear fission or something. The second kid’s project about the space-time continuum or some bogus thing like that. THEN, then it was my turn, me with my perpetual motion candle. When my presentation was done, my teacher spoke up from the back of the room, and told me to tell my chemistry set-hospital visit story. So, very hesitantly, I did. By the time I was done, the teacher and the principal were both in tears laughing at me so much. Years later as I was exploring the #RooseveltRiver (2013 – The Year I Canoed with Theodore Roosevelt) from birth to age 19, some parallels and themes emerged. 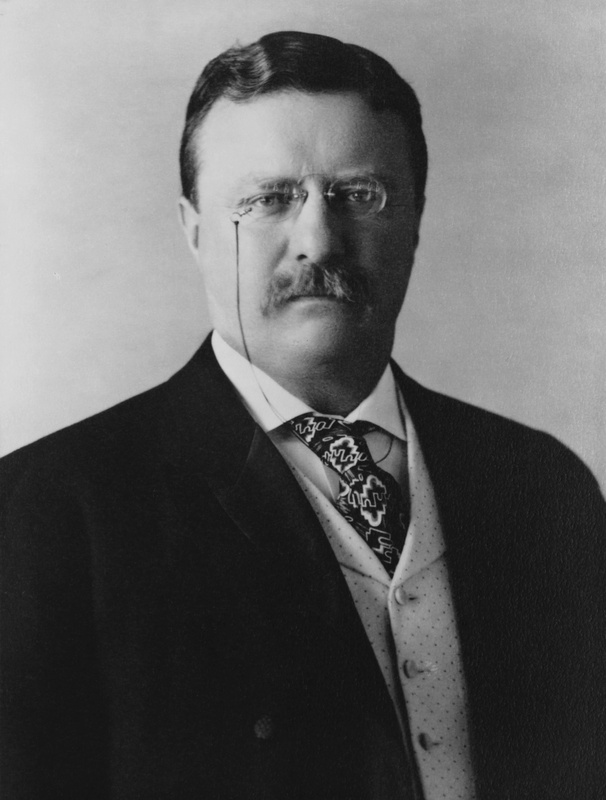 During these years, Roosevelt became fascinated with science and history. He was an avid reader, but not only a reader; he was a writer as well. He completed his first book by the age of 16. His father was the dominate figure in his life helping him to develop into a man. His personality set him apart and despite having very poor eyesight he excelled in boxing and outdoor activities. Toward the end of this time frame Theodore’s father passed away and had a profound impact on him. Many of the lessons of his youth and the impact on his life were evident in later years. While our lives are not parallel, I too was an avid reader. As a teen and on into my twenties I read book after book on programming, systems design, database structures, and application life cycles. Ask my sons, I used to hold them on my lap and read to them. They are probably still scarred! I wasn’t the writer Roosevelt was, I wrote song lyrics instead of books (you see, I was going to be a rock star!). However, it was still a way to release my creative passions as did he. The discoveries during this portion of my exploration were many and deep. Two lessons came from these discoveries. The first was related to change: my ability to embrace change, but also my ability TO change. For years I was petrified of public speaking, I could not even imagine getting up in front of a group and presenting a topic. If I were in a meeting, I would not speak up until I had time to digest everything and very methodically process what I heard. I hated that moment in a meeting when all eyes turned my way. I felt like that very embarrassed 11 year-old kid ready to crawl into a hole. As I developed in my career, I knew this was something I would have to overcome. I did this through preparation. The reason my science project was so lame was because I failed to prepare. Roosevelt was a larger than life individual, fueled by traits like exuberance, passion, and enthusiasm. What of your traits the strongest impact on those to whom you are communicating? Think about that for awhile. Put yourself in the shoes of the “communicatee”, what comes through your from your communication style? What traits are strongest when you are communicating well? I asked several people to describe the traits that come through with me. Modesty, humility, and empathy were recurring themes. However, one jumped off the page: passion. The realization that I communicate best when I am passionate about the subject AND I let that passion show through was lesson number two for me. Several years ago, my wife suggested I tell our Lewis and Clark story to her mom’s Rotary Club. At first, all I could see was that 11 year-old all over again, but the more she nudged the more I warmed to the idea (this was not the only time in our relationship that she nudged me over what I thought was a cliff, only for me to learn I could fly). However, to be successful, I had to prepare. I wrote my presentation out long hand. I rehearsed, and rehearsed and rehearsed. I combined my passion with preparation and have now lost track of the number of times I have spoken in front of groups. Accenting a strength enabled me to overcome a weakness. Recently Seth Godin posted his 5000th blog post. Well, I am no Seth Godin, not nearly as prolific and far from as talented, but my blog just passed a milestone as well! Rivers of Thought just surpassed 5,000 views! 5,000 views – those can’t all be from my mom, either! I started blogging over four and a half years ago (from People, Planet, Profit through One bourbon, One shot, One beer). I have learned a lot, not only about blogging (thanks Rachel!) but also about the various topics I’ve covered. Its been fun, its been challenging and its been rewarding. The two posts that have drawn the most readers were Mow Your Lawn with a Lizard, describing my excitement over my new Neuton lawnmower and Living in a Virtual World, providing a recap of my experiences in an MIT Executive Learning Course. Both of these prove the value of having others link to your blog to drive traffic. While I am at it, you should know the posts that received the fewest views were It’s All Related , a post about how interconnected things are in the environment and The Lesser of Two Evils, about the dumping of gold mine waste (I don’t even think my mother read that one, it shows only one view, thanks honey!). The theory that provocative titles drawn in readers can be seen in the hits on Do This in Remembrance of Me, Shades of Grey, and Jim Morrison – Environmentalist, all showing up in the most often read posts. Trying to promote my eBook “Everything I Learned About Leadership, I Learned from Lewis and Clark” using my blog only showed mild success as it stands at the middle of the pack of readership. Over the four and half years, I have written about my passions, including Information Technology (T Minus 12 Hours, 5 Things that Keep Me Up at Night), music (The Soundtrack of Our Lives, The World of Hip Hop), and the environment (Black Liquor, Put Your Hands Behind Your Head). With no apologies whatsoever to the Material Girl, I just spent two days this week living in a virtual world. It was an incredible experience! 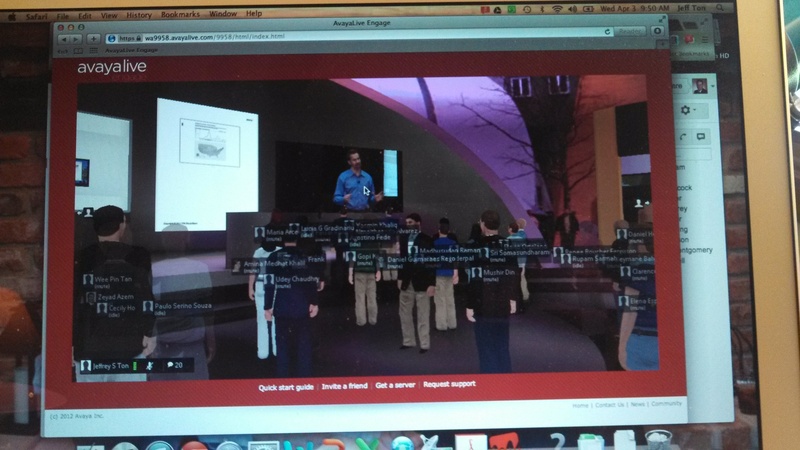 In a first for the MIT Executive Education Program, one of their classes was offered in a virtual environment. 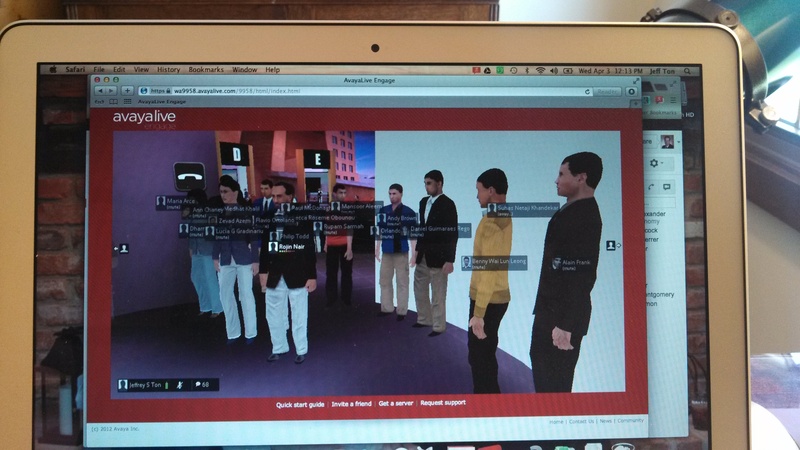 No, this was not your father’s webinar using WebEx, this was a virtual classroom, complete with personalized avatars. Let me try to explain. I started attending MIT’s Sloan School of Management Executive Education Program last year. Typically, classes are held in Cambridge, either on campus or at a nearby hotel. However, the class “Big Data: Making Complex Things Simpler” was different. It was offered in two venues, one in Cambridge and one virtually using AvayaLive Engage. The kicker? The classes were run simultaneously as one class. There were 100+ students in Cambridge and about 70 of us from around the world that joined virtually. 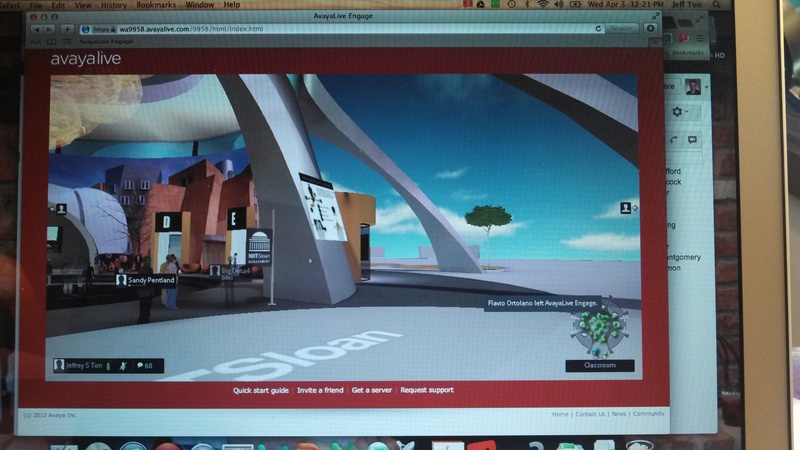 The platform leverages video gaming technology to create a near-real virtual environment. Each student had their own avatar they controlled from their mouse and keyboard. In a scene straight out of Star Trek, my avatar was transported and materialized outside an auditorium . In this auditorium, the students could great each other with a handshake and speak in our own voices. I met and spoke with people from the U.S., Saudia Arabia, Egypt, London and Brazil. Our avatars could wave, raise our hands, clap, point, shrug, and fist pump with excitement. The Engage platform uses the concept of proximity, so only those students, er avatars, in range of your voice could hear you. You could whisper to have a private conversation or shout to be heard by more. The auditorium had a stage area. Anyone standing on the stage and speaking could be heard by all the students. Above the stage where three large screens. On one screen there was a live video feed from the classroom in Cambridge. The center screen was used to project the slides of the material (the third screen was not used) In the rear of the auditorium was a microphone. Avatars that spoke into the microphone could be heard throughout the auditorium and in the class room in Cambridge. Professors Erik Brynjolfsson and Alex “Sandy” Pentland taught from the live classroom, but on several occasions joined us in the the virtual world. Hopefully, I’ve painted an adequate picture of the environment. The course itself was outstanding, but rather than recount the material (heck, you can take the class yourself!) I want to share some of my observations. In a recent article on the Financial Times blog “Online learning “no substitute” for classroom”, Peter Hirst, executive director of executive education at Sloan stated “The competitive comparison is not between on-line and in-person, it is between on-line or not-at-all.” While I agree with Dr. Hirst, I will say this virtual environment beat traditional webinar environments hands down. Combining it with the live classroom took it even a notch higher. I think some tweaks could make it almost like being there. All of the avatars were good looking and about the same age. There were not any “less attractive”, nor “overweight”. There was diversity in color and nationality, however. In this environment, it is even more important that participants mute their microphones when not speaking. Not muting caused an annoying echo, not to mention the crying babies, traffic noise, and the occasional dog. This was easily managed by our hostess Christine Mansella, however. On day one, there was a significant lag of the audio feed from the virtual world to the live world. The Avaya and MIT engineers resolved that over night and it behaved flawlessly the the second day. Running this environment on my Mac caused it to run blazing hot. I had to use my lap desk fan to keep it cool (thanks Holly and Brad!). By the time the class was over, I was so immersed in the virtual class that I would forget that Christine was actually in the live classroom. Seeing her handout certificates was a bit surreal. Because we were virtual, there was really no way to grab one of the professors for an offline question or to take a deeper dive with them on break. 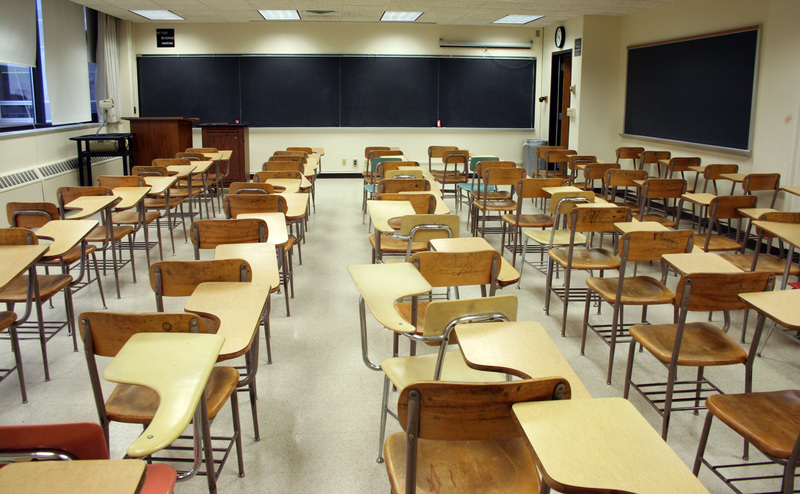 The breakout rooms worked adequately, but they were not like sitting at a table with your classmates. There could have been more structure around “room assignments”. The first room I was in only had three of us and while the conversation was good, it could have been better. In a later room, it seemed like there was 20 of us, which was probably too big. While on the breakout sessions, the final exercise required the teams to complete a Matrix of Change. This was not possible in the virtual breakout rooms. An collaborative editing function, like Google Docs, or something would have been helpful. It was not possible to “break bread” together. 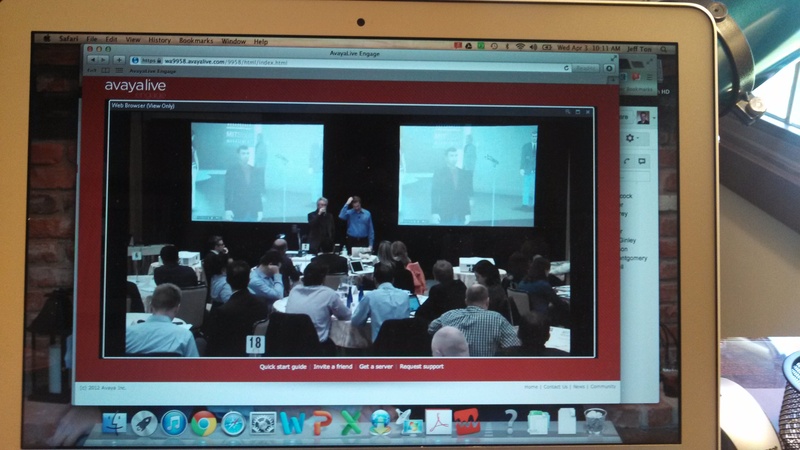 The live class had lunch, the virtual world was left to our own devices. Though I was quite jealous when one of the participant’s house boy brought him a grilled cheese sandwich. Related to this, the live class had a cocktail reception after the first day. I am not sure how to solve either one of these, but perhaps having a live feed from the lunch and reception, and allowing the live students to create avatars and join us in the virtual world would have worked. I know several times in my career when I managed staff around the globe, I had donuts delivered in Indy and Deptford, croissants in Paris and gulab jaban in Mumbai while on a conference call with each other. It would have been helpful if my avatar status bar stayed visible. It was hard to tell if I was muted or not. Asking questions was a little cumbersome because the avatar would have to move to the microphone at the rear of the auditorium. Because we were virtual, we missed out on one of the traditions of business…exchanging business cards. It would have been cool to be able to do that in the virtual world somehow. Bet you thought this was going to be about something other than leadership, didn’t you? Sorry to disappoint! I awoke this morning to one of nature’s most beautiful landscapes. 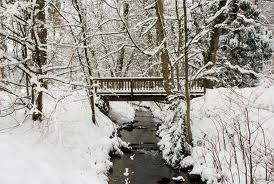 After a fresh snowfall, the Mud Creek valley was a winter wonderland. At first glance it is a world of black and white. However if you look closely it is a palette of dozens of shades of black: charcoal, ebony, midnight blue, onyx, noir, and jet; dozens of shades of white: snow, ivory, cornsilk, powder, cream, and antique; and yes, dozens (though I didn’t count to 50) shades of grey: light grey, silver, Davy’s grey, ash, slate and Xanadu. There are even shades of greens and browns. It struck me as I drove my morning commute through the Mud Creek and Fall Creek Valleys that leadership is a lot like a winter landscape. At first glance, many of decisions, opportunities and challenges appear to be black and white, but as we grow as leaders we realize we are really operating in a world of shades of grey. The successful leader slows down to appreciate the landscape and makes thoughtful decisions based on the nuances of a very complex palette.